And a way to participate is playing the casteller tune as a “graller” or as a “tabaler”. Gralles and tabals are not only used in Castells, but they are a very important part of them. Let me explain it in a deeper way, starting by what are a “gralla” and a “tabal”. What you are hearing is a cover of Coldplay “Viva la vida” by “Els Laietans”. They are a band made by gralles. And yes, that’s the sound of a gralla. I’m sorry if you find it disappointing or out of tune, but it’s the way it is. And personally, I actually like it. 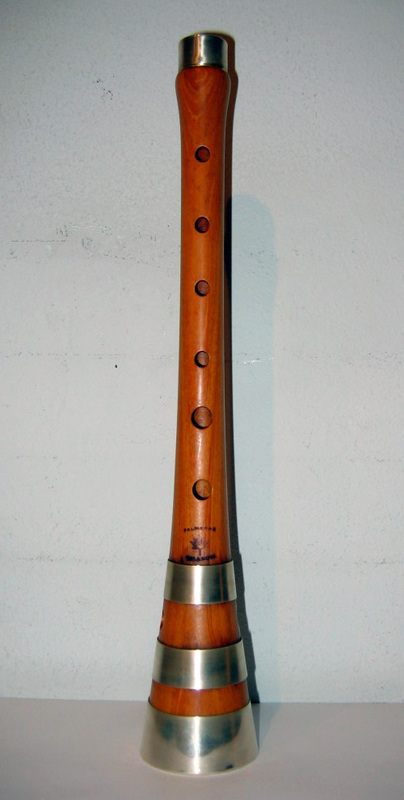 As I said before, the gralla is not only used for the castells’ tune, but it is the typical catalan instrument, along with the Tenora, another woodwind instrument with more than 150 years of existence that is used especially in “cobles”, a kind or orchestra or band that plays “sardanes”, the typical dance of Catalonia. But this is a complete different story and I am not going to talk about Sardanes in my blog, sorry. The “tabal” is nothing but a drum, with a double skin, as usual. 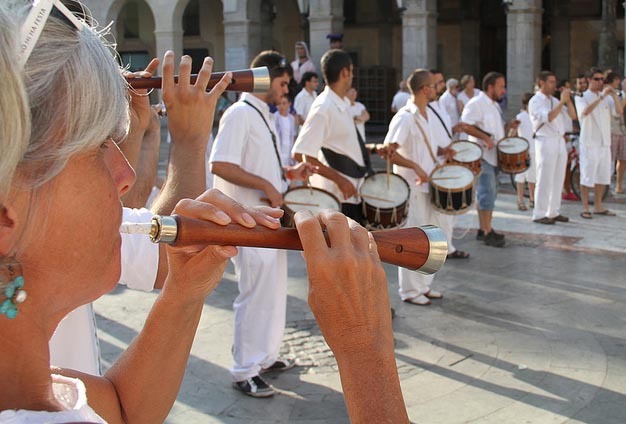 Actually, “tabal” in Catalonia is a drum used for the popular fiesta. Like the vast majority of popular traditions around the world, every Catalonia fiesta has with its own tunes. There are the tunes for La Patum, in Berga, the tunes for the Correfoc in Manresa… and Castells are not an exception. Toc de Castells. Or “Castells tune”. This is one of the most known all around the catalan geography, and it’s basic while the castells are being build. It shows the beginning of a valid try for a castell, when it’s “carregat”, loaded or crowned, and joins all the way when the castell is being “descarregat”, unloaded. The toc de castells is basic for the people in the pinya to manage their strength. As it is impossible for them to look up, the gralles and the tabals show them the tempos of the castell. Here you can see how the tune is used to show the tempos when the Castellers de Solsona unloaded their 3 de 7 (one day I will talk about structures). Back to the gralles i tabals, after the show recently has been imposed the “toc de vermut” or “Vermouth tune”. Time ago the castellers were normally hired by the rich people of the village to entertain themselves and as a way to earn the trust of the people. When the show was over, the same rich man invited the castellers to some drinks, what we call in Catalonia “fer el vermut”. The toc de vermut is the only tune played by all the grallers and tabalers of all the colles of the show. This is the “Toc de vermut” played by the grallers and tabalers of the Castellers de Sabadell, Sagals d’Osona and the Capgrossos de Mataró. Sometimes they finish the whole show playing the “Polca d’Ours”, this one played by Castellers de Sabadell, Castellers de la Vila de Gràcia and Castellers de Terrassa. Previous PostWhat is “fer pinya”?Next PostWho manages a colla?